This entry was posted in Germany and tagged Class Knight, Cross Ritterkreuz, decoration, Germany, Germany Third Reich, Iron Cross, Iron Cross Second Class, Iron Cross Second Class 1939, Iron Cross Second Class 1939. 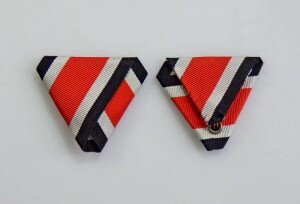 Austrian style, medals, military ribbon, Officer Knight, orders, Ribbon. Bookmark the permalink.